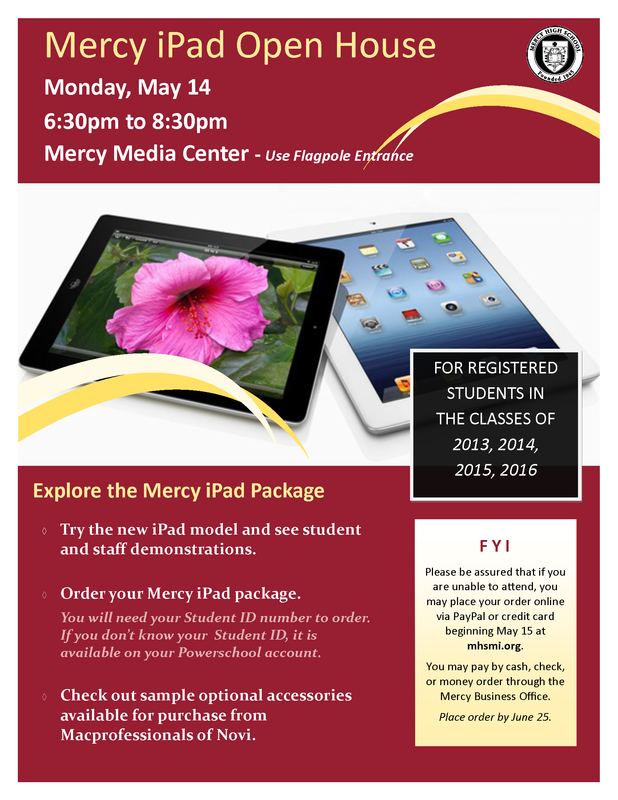 Explore the Mercy iPad Package on Monday, May 14 from 6:30pm – 8:30pm in the Media Center. Try the new iPad model and registered students in the classes of 2013, 2014, 2015, 2016 can place their order. CLICK HERE for all the event details.